EdRev (Education Revolution) in April, produced by Parents Education Network, had a new focus: technology. Among the many products being displayed was AppWriter developed in Denmark. They claim this is the first text editor for the iPad offering users of all ages with reading and writing disabilites the necessary tools for unlocking a world of information. All tools are seamlessly integrated and comprise text-to-speech, context based word suggestions, OCR (Optical Character Recognition) and the special Dyslexic-font. Below is listed some of the App’s attributes. (Content from their website.) I thought this product worth mentioning because it combines many different tools. Sadly, it’s limited to just the IPad. There is no need for Wifi or 3G access. Everything is embedded in AppWriter and runs directly on the iPad. Words and letters can be spoken back as you type. Visual tools highlight the text as it is being read aloud. Word prediction enables you to develop your writing skills by providing the tools to construct sentences with ease. Context based word suggestions will allow you to produce high quality work and reduce the time it takes to do so. AppWriter predicts the word you want to use next. This means that you will be less likely to make grammatical or spelling errors. Word prediction is available with the ability to hear each word before selection. The powerful Optical Character Recognition (OCR) technology in AppWriter means that any paper document or image becomes accessible. Through the integration of Mobile OCRKit, textbooks, photocopies and handouts are easily converted into text documents. The text can be spoken out loud by AppWriter with color highlighting or edited. Please note that good OCR results require the new iPad. How do you manage the created document? It can be emailed, copied to clipboard for use in another app or exported to Dropbox or Google Docs. The Dyslexie font is another great feature in AppWriter. The specific characteristics of the Dyslexie font make it easier for people with dyslexia to distinguish the individual letters. This reduces the number of reading errors as well as the effort it takes to read the text. Go to: http://lingapps.com/apps/appwriter. They are also on Facebook and Twitter. Parents Education Network presented its 4th Annual EdRev (Education Revolution) Event on Saturday, April 21st, 2012 at the San Francisco Giants Ballpark. It is amazing to me that no matter how much rain or fog we get during April, in San Francisco, somehow the sun comes out on EdRev day. A huge crowd, around 1,500 hundred (we await the final count) showed up to learn more about dyslexia and ADD. This blog focuses on the Keynote activities. Up first was Safe Voices, a student community within PEN that strives to educate, mentor and support students, parents and teachers about the challenges and strengths of Learning Difficulties (LD) and Attention Deficit Disorder(ADHD) Through this program LD students discover that what they perceive as their greatest weakness, in fact, can become their greatest strength. A first step is learning how to speak up for what one needs and who one is. If you teach me 1,000 times and I don’t get it, who is the slow learner? Learning different students think outside the box. If they didn’t, what would the world would be like? We own our differences, we accept them. I am much more than my learning difference. The only thing that matters is: I am who I am. I get up on a box and am heard and am sparking a revolution in education. connected to people who supported me. 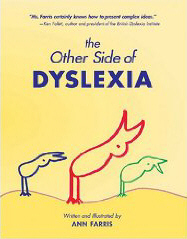 Tracy Johnson, was not diagnosed with dyslexia until college age. Her story is notable a) for the many hurdles she had to overcome, b) for persevering and c) being willing to work harder than most college students do. She was recently featured in the HBO documentary, Journey into Dyslexia, Great Minds Think Differently. In grade school, Johnson was diagnosed as “learning disabled,” a label that stuck through high school and a failed try at community college. The education system broke down for her as the label didn’t identify her LD. Then, her self-esteem plummeted. Tracy realized she was dyslexic when she was cleaning classrooms for a living. Now, she is an enrollment advisor at Eastern University. Steve Walker is a self-taught dyslexic, engineer and entrepreneur who founded and is now President & CEO of New England Wood Pellet LLC. A true visionary, Steve has been a leader in promotion of renewable energy policy for biomass thermal technologies at the state, national and international level. He, too, is featured in Journey into Dyslexia. Steve told us that if an ally had been around to help him when he went to school he would have been a doctor. Instead, he stared at the clock. When he had to write the letters on the yellow paper with lines he was stumped. In high school he couldn’t read the math questions. Instead he developed low self-esteem. To make matters worse his mother told him if he didn’t go to college he would work in the factory. Well, now, he owns factories and has ended up hiring people who gave him a rough time. Yes, he said, I had a lot of anger. Each of these speakers and moderator have different backgrounds, but there are common threads in themes and solutions they see and some are outlined below. The education system needs to be re-engineered. The system is not serving more than 20% of its population. Dyslexics need to take the lead. We have to look at where does the education system break down? Teachers don’t know how much these 20% really know because their processes can’t give their LD students away to explain. Vocational training and all activities involving creativity needs to re-instated. The Special Ed’s focus of fixing a dyslexic’s shortcomings needs to flip to support what LD students can do best, refocusing on the positives. School must be the time to find out what you are good at. Innovation and creativity go hand in hand. LD students need to learn how to be a leader feeling capable of listening to different points of view. Remember there is no normal. Parents must assume an advocate role to support and care for their LD student. Listen and explore what the child really needs. Go from strength of your LD child. Don’t let the education process drive your decisions. Find a school where your child fits, where they can excel. Leave your ego at the door , which means let go thinking your child has to go to a fancy school. Your concern ought to be: how do I make my kid’s lifetime experience a positive one. Dyslexics are often artists, starters, builders, teachers. Finding a way to leverage these talents is the challenge not only for parents and teachers but also dyslexics. A successful artist who has dyslexia and who has a dream to help others may not always be successful as an administrator, which requires a lot of busy work. Dyslexics need to sell their team on what he or she needs. One goal is to get to the point where you have no fear of shouting out from the door: How do I spell this word? Dyslexics need to learn how to back off if someone is trying to make them be someone they aren’t. Leveraging growth after school. Taking what seems to be a menial job can open doors. a) Steve was working in a factory. The engineers were all struggling with how to solve a program. One night he had a great idea and stayed up all night solving their problem. That’s when he turned around. He started his own company at 18 – a lawn mower company. Tracy was cleaning school rooms to make a living. She kept thinking, there is something wrong here. I am as smart as some of these students. One night watching the Cosby Show, Tracy learned about dyslexia. The light went on, and she kept going. She re-iterates we need the right, light soil.